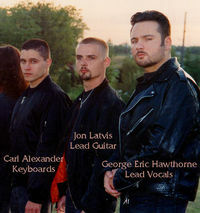 RaHoWa (sometimes RAHOWA) were a Canadian white supremacist band with a loosely based Neo-Classical metal style. The band name is an abbreviation of RAcial HOly WAr. They released two albums from 1993-1995. Many of their songs had explicitly racist and violent lyrics. The band was founded by George Burdi using the pseudonym George Eric Hawthorne. Burdi was a white supremacist, and at one time the leader of the Church of the Creator and the owner of Resistance Records that acted as the groups distributor. Burdi was lead vocalist. He was convicted of assault causing bodily harm in 1995 for kicking an Anti-Racist Action member Alicia Reckzin in the face during a riot that followed a RaHoWa concert in Ottawa in 1993. 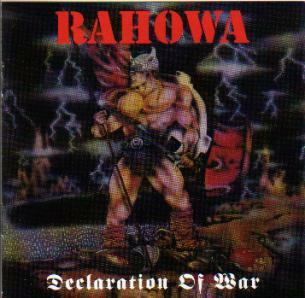 RAHOWA was very popular among neo-Nazi skinheads and their concerts are alleged to have incited violence. In the hours following one gig in Toronto in 1993, several concert goers attacked a Tamil man, beating him into a coma and leaving him permanently disabled.